In today’s increasingly competitive labor market, it is critical for employees to differentiate themselves from the competition. Whether applying for a job, seeking a promotion, or making a major career change, employees are always contending with others who may be more qualified for the opportunities they look for. With so much competition, a solid resume may not be enough. To stand out in an interview, employees must be able to demonstrate a strong personal brand that’s visible both in-person and online and that communicates the value they offer in a way that resonates with employers. 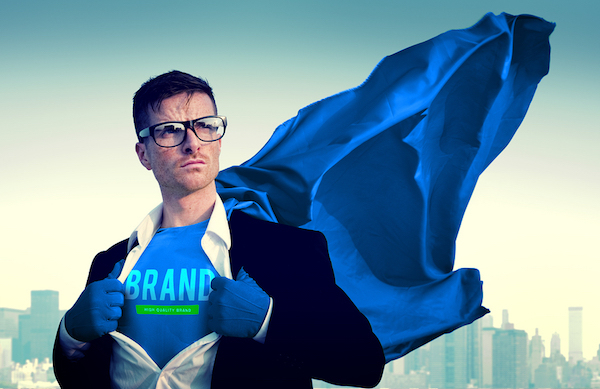 At its core, a personal brand is a person’s unique promise of value. Discovering a personal brand begins with a bit of self-reflection and research by thinking about morals, ethics and perceptions, and ends with honing the ability to communicate and deliver on the individual’s promise of value. But let’s be clear, a personal brand is about living and breathing those values every single day, not about meaningless self-promotion. It’s about building a reputation. If the promise of a personal brand is exaggerated or fabricated, then it becomes worthless. To help define and develop a personal brand, employees should follow five steps. Everyone has a personal brand, whether they know it or not. One way to discover it is to ask questions that can help uncover personality traits, strengths, interests and values. Through this, employees can start to get an idea of what makes them tick, including the moments in life and work where they shine; the interests and passions they daydream about; and the values that are important to them. With those attributes in mind, they can begin to formulate a personal mission statement for their brand. This mission statement will capture the purpose that drives them and the outcomes they strive to achieve. Once they’ve reflected on their own brand’s perception, they should seek feedback from others and evaluate whether or not the way they perceive their brand aligns with the way others perceive it. When an employee is regarded as an expert, people are more likely to buy into his or her brand. But, it will be hard to get others to buy into the value they offer if they haven’t taken the time to define what they want to be known for in the first place. Clearly developing goals for what they want to accomplish will enable them to know where to invest their time and energy to enhance the skills, reputation, and professional relationships necessary to build a fruitful career. Employees should start broadly – they shouldn’t limit the scope or size of their goals and dreams or prematurely judge whether or not they’re realistic. All successful brands know their target markets. They research their customers to understand what they want and need, so they can offer products and services that solve their problems, make their lives easier or offer them a pleasant experience. Similarly, employees need to know who their target market is. There are numerous ways to discover a target market when looking to apply for a job or enhance or change careers. Employees can start with internet research to learn more about the industries and job functions that interest them. Then, they can conduct an informational interview by talking to professionals in those fields. Once their research has been completed, employees can begin “career experiments”, like volunteering, internships and freelance work. These opportunities allow direct exposure to the career field of their interest and are ways to test them out before deciding to commit to a job or role. How an employee markets him or herself to an employer is part of their personal brand. Each resume, cover letter or answer to an interview question should be designed to influence the reader. Employees seeking jobs need to persuade recruiters to invite them to interview and, eventually, hire them for the job. Sending a clear message about how they can contribute to the company’s goals is critical to achieve a job placement. One way to establish the central theme of a personal brand is to develop a one to three-sentence personal brand statement. The goal of this statement is to quickly communicate an employee’s skill set, experience, education and perceived outcomes in the desired role. This establishes a credibility by providing evidence, such as years of experience, specific examples of success stories, and competencies earned through education and on-the-job responsibilities. An important part of promoting a brand is to evaluate the current state of an employee’s online presence. Employees should remember that when they engage in online activity, they leave behind a digital trace of information that is associated with their brand. If they don’t want a potential employer to see something about them online, they should delete it and refrain from posting similar content in the future. Once an employee has committed to building a brand, there are a few steps they can follow to stay on track. Each month, they should connect with people in their network, ask how they are, and try to add value to their work. Another helpful step is to reflect on what they’ve accomplished and set new, forward-thinking goals. Once a year, they should enhance their education and competencies by learning something new or taking a class, and use that new knowledge to refresh their resumes and CVs, at least twice a year. University of Phoenix offers certificate programs and continuing education courses that can help employees learn the skills and competencies to demonstrate professional development. In today’s labor market, individuals must engage in continuous learning and constantly build their personal brands to stay prepared for unexpected career changes as well as career advancement opportunities. These five steps can help form the foundation of a personal brand. Now, it is up to each employee to take action and define and build theirs. Steven Starks is a Senior Career Counselor at University of Phoenix. He has been with the University for 11 years, also serving as a career coach for five years and a senior academic counselor. Starks is a National Certified Counselor and a featured career coach with TheMuse.com. 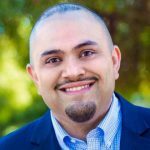 Previously, he worked in the mental health industry providing individual and group therapy for clients struggling with severe mental illness, abuse, and trauma.